Why Not Just Use an Off-the-Shelf Power of Attorney Form? A durable power of attorney is one of the most important estate planning documents you can have. It allows you to appoint someone to act for you (your “agent” or “attorney-in-fact”) if you become incapacitated. Without a power of attorney, your loved ones would not be able to make decisions for you or manage your finances without asking the court to appoint a guardian or conservator, which is an expensive and time-consuming process. The power of attorney document sets out the agent's powers. Powers given to an agent typically include buying or selling property, managing a business, paying debts, investing money, engaging in legal proceedings, borrowing money, cashing checks, and collecting debts. They may also include the power to consent to medical treatment. Some powers will not be included unless they are specifically mentioned. This includes the power to make gifts and the power to designate beneficiaries of your insurance policies. The power to make gifts of your money and property is a particularly important power. If you want to ensure your agent has the authority to do Medicaid planning on your behalf in the event you need to enter a nursing home, then the power of attorney must give the agent the power to modify trusts and make gifts. 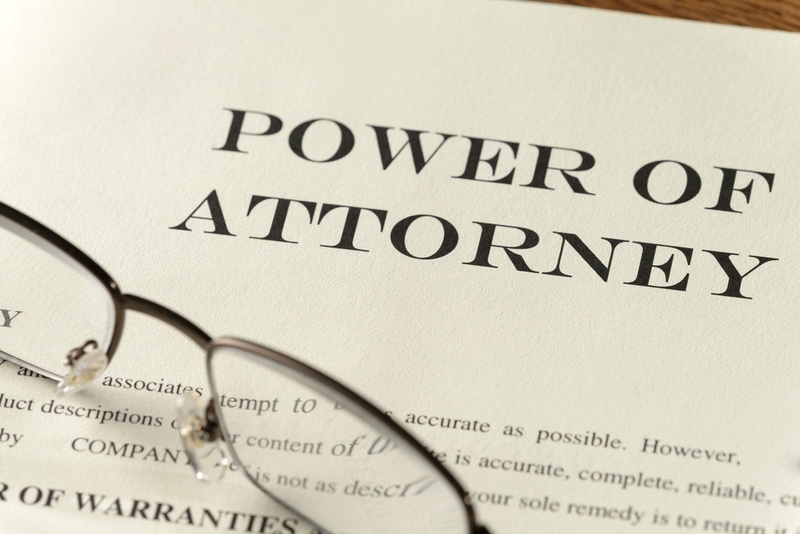 The wording in a power of attorney can be significant, so it is necessary to consult an attorney. The power of attorney can take effect immediately or it can become effective only once you are disabled, called a “springing” power of attorney. While a springing power seems like a good idea, it can cause delays and extra expense because incapacity will need to be determined. If the power of attorney is springing, it is very important that the method for determining incapacity is clearly spelled out in the document. While it is possible to name more than one person as your agent, this can lead to confusion. If you do have more than one person named, you need to be clear whether both parties need to act together or whether they can each act independently. It might make more sense and be less confusing to name an alternative agent to act in case the first agent is unable to. Another use of a power of attorney can be to nominate a guardian in case guardianship proceedings become necessary. Including your preference for a guardian can allow you to have some say over who will be managing your affairs. Usually, the court decides who will be chosen as a guardian, but in most circumstances, the court will abide by your nomination in the durable power of attorney. To be valid a power of attorney must be executed properly. Some states may require a signature, others may require the power of attorney to be notarized, and still others may require witnesses. It is important to consult with an estate planning attorney in your state to ensure your power of attorney is executed properly. Even if you do everything exactly right, some banks and other institutions are reluctant to accept a power of attorney. These institutions are afraid of a lawsuit if the power of attorney is no longer valid. Many banks or other financial institutions have their own standard power of attorney forms. To avoid problems, you may want to execute the forms offered by the institutions with which you have accounts. But be careful that you don't sign a bank's document that inadvertently restricts a power of attorney's ability to deal with other assets, and you should check that any documents you sign with a bank match the original power of attorney. I consent to The Elder & Disability Law Office LTD collecting my details through this form.